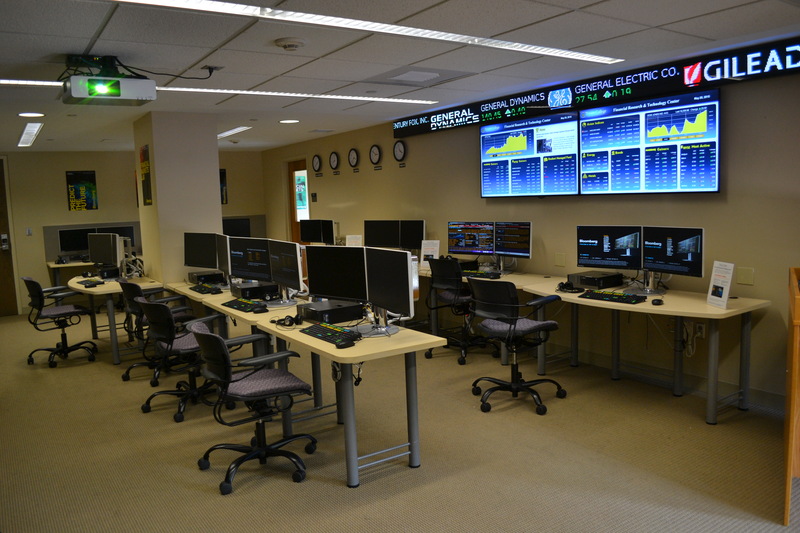 Located directly above Peter B’s in the library, this suite includes a 30-person classroom, a digital scholarship space, a one-button recording studio, a digitization lab, and two conference rooms. We are excited that this space will help us scale up our digital scholarship offerings by providing a space for classes, workshops, and research. With the support of the Andrew W. Mellon grant, we also plan to offer funding for faculty to develop their use of digital tools in research and pedagogy as well as for training opportunities such as DHSI and HILT. We look forward to collaborating with you on these and other ventures in the years ahead! 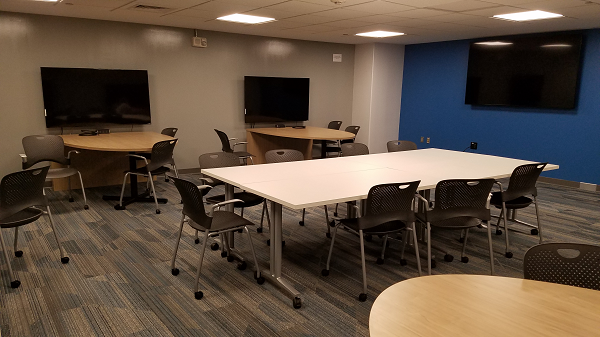 Located on the south end of Raether LITC Level 1, the Center for Educational Technology is a newly remodeled space for collaborative and individual study using the latest in technology and applications. The space is open 24/7, and staffed by Student Technology Assistants during both day and evening hours. The CET is outfitted with large screens of various sizes that you can connect any device to; Mac minis with dual monitors, and some with Adobe’s Creative Cloud software suite; USB charging plugs in every outlet; 3D printers; virtual reality headsets; and of course – plenty of modern soft seating. Trying to locate some specialized software? Click on this interactive CET map! The Trinity FRTC is located in the 24-hour zone of the library, near the main entrance in room A02. The center hosts 11 Bloomberg Professional workstations, the industry leader in providing real-time and historical data for business and finance news, analytical tools and research. The Classroom Directory provides snapshots and feature summaries of all of the classroom buildings on campus to make your course planning easier.